Long revered for its sweet singing tone and violin-like sustain, the classic three-knob Big Muff Pi has helped define the sound of rock guitar for over 40 years. Now, we’ve added some extras for those who crave more sound shaping control. 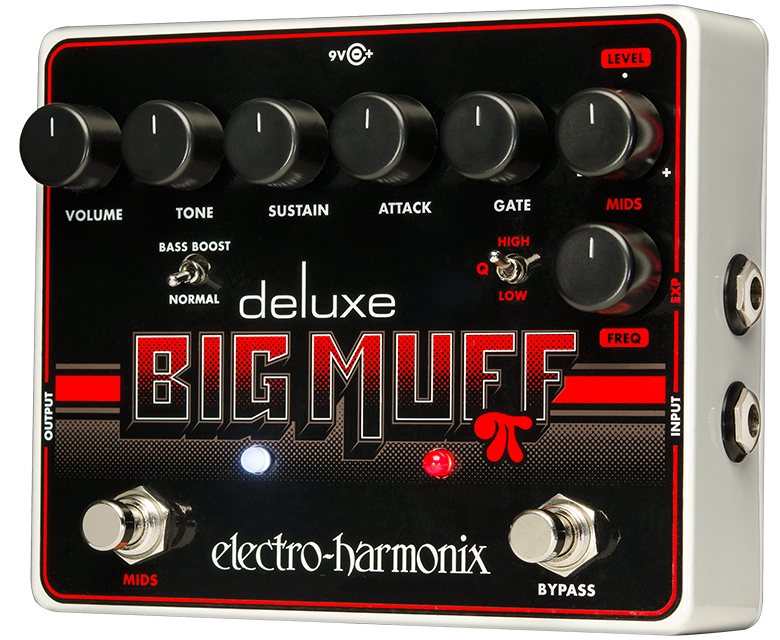 Introducing the Deluxe Big Muff Pi. It delivers all the classic sounds of the original NYC Big Muff Pi, plus more.